Going all the way back to Up‘s release in 2009, there has been no Pixar film I have been more excited for than the upcoming Inside Out. 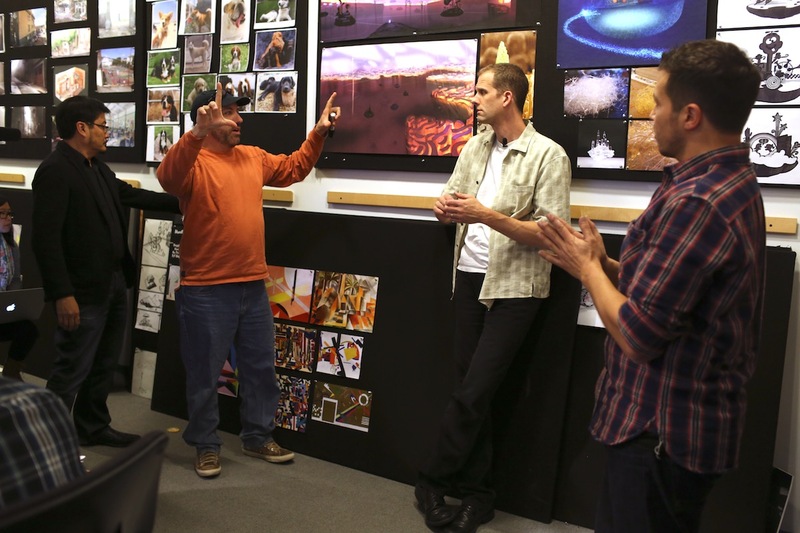 There’s a reason for that – both films were directed by Pete Docter, one of the animation studio’s premier directors. Last week, I had the privilege of visiting Pixar’s campus in Emeryville, California. While there, I watched the first hour from Inside Out, and I am happy to report that even though I walked in with the highest of expectations, I walked out fully impressed. I should state that I will refrain from spoilers about the film’s plot, sticking with what we have already learned from the synopsis as well as the trailers and character descriptions released by Disney/Pixar. However, if you would like to head into theaters in June knowing next to nothing about the film (if you are one of those avoid-the-trailers types), just know that I immensely enjoyed what I saw and then close this page so you can revisit it later. The film centers around 11-year-old Riley and her emotions. The story kicks off with the character and her family moving to San Francisco. Looking at the major transition that Riley will endure, as well as her current age, you can assume that her emotions will go on a wild ride through the stressful time (and you would be right). The film presents that literally, as we see the emotions of Joy (Amy Poehler), Sadness (Phyllis Smith), Anger (Lewis Black), Fear (Bill Hader), and Disgust (Mindy Kaling) enjoy a grand adventure. That is just the beginning of the clever ideas from the filmmaking team of Docter and co., as we see the story progress in parallel – inside and outside of the mind. Clever is a word that has attached itself strongly to Inside Out. The more that you see of what goes on inside Riley’s head, the more time you want to spend in it. Her emotions live inside the mind, not the brain, so you won’t see the emotions traversing through brain structures such as the cerebrum. Instead, the concepts of how the brain works are brought to life in a more visually exciting manner, such as how core memories work vs. long term memory, and where each is stored. The mind, as seen in the film, is more of a metaphysical Pixar creation. Given that the design and feel of the entire world inside the mind needed to be invented, artists working on the film were granted the opportunity to be imaginative, and the results are breathtaking. Of course the animation and lighting is gorgeous – we have come to expect nothing less from Pixar. Seeing how the mind works, as told by Docter and his team, will give you pause, as you admire the stunning creation as well as process the multiple layers of the story and humor. Similar to Monsters, Inc., Docter’s first Pixar film, the designed world seems unlimited in its creative potential yet instantly relatable – half the fun comes from seeing how the storytellers have chosen to translate complex brain processes into fun and hilarious pieces that are far simpler to comprehend (the explanations for why a song gets stuck in your head and what abstract thought is are pure genius). It would have been so easy for the creative team to become overwhelmed by demonstrating how the mind works as well as making it enjoyable to watch, but it is all pulled together beautifully, leaving much room for character development. In the 56 minutes that we screened, there were many touching moments, both inside Riley’s head and outside. Riley is enduring a cross-country move, where she must go to a new school, make new friends, and settle into a new home with her parents. In her mind, Joy is the lead emotion, but when Sadness along with Joy get separated from Anger, Fear, and Disgust, the former three must fill in. The film was scored by Michael Giacchino, who made audiences bawl with his majestic music for Up. 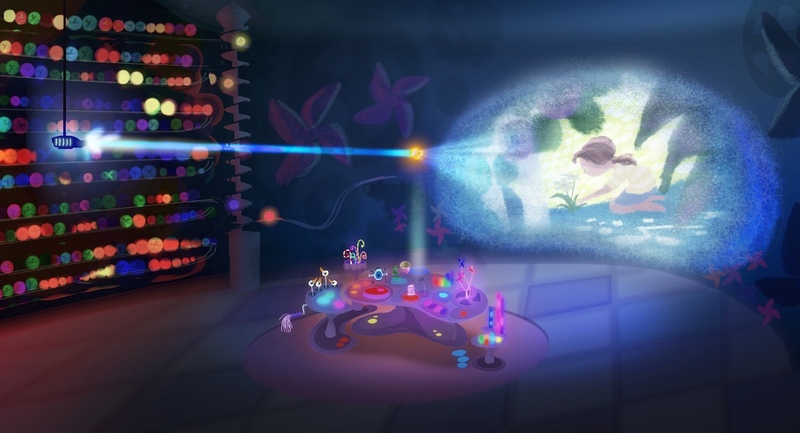 The opening moments of Inside Out, where we witness the birth of Riley as well as her emotions, are made more stunning due to the beautiful orchestral music from Giacchino. It is a dazzling scene right out of the gate, and while it will not gut punch you the way that the heartbreaking opening from Up did, for this film it felt just right. The first part of the film is packed with exposition, and that is no accident, as the rules for the world need to be set so audiences can follow along without getting distracted by inconsistencies or questions of how the mind operates. I was sucked right into the story and was surprised when the lights turned on, signaling that almost an hour had ticked away. Surely, we hadn’t just seen 56 minutes, as it seemed far less than that. The next day, Docter and producer Jonas Rivera revealed that the complete film clocks in at just under 90 minutes, which will undoubtedly fly by (that is, if the last act lives up to the first and second). 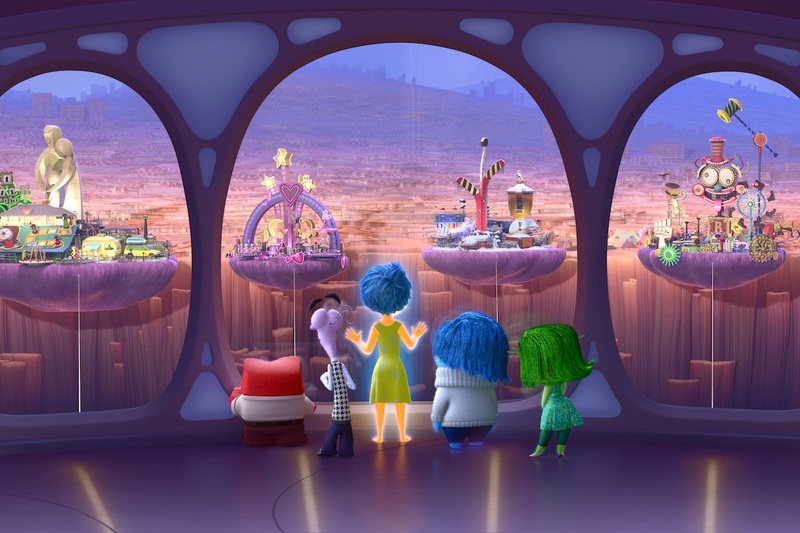 Already, I can declare that Inside Out is one of Pixar’s most ambitious and intelligent films. If it can stick the landing, it will easily join the studio’s best films and could be one of the best films of the year. If you are concerned that the trailers and ads are giving too much away, do not be worried – Pixar artfully crafts its promotional material as to avoid giving away the film’s story or even its funniest moments (if you think the dinner scene where Riley and her parents have an argument is funny, there are scenes that are significantly more humorous). Believe the hype – Inside Out is awe-inspiring. This is just the first of many pieces related to my 2-day trip to Pixar. I also watched Lava, the short that will accompany Inside Out, and had the opportunity to go behind-the-scenes of both films with their filmmakers. As we approach the films’ June 19th release date, expect to learn more about how they came to life!